Today’s memories and photographs will become the history of tomorrow. Photographs give us the opportunity to glimpse and wonder at our town's past, evoking cherished memories but they also encourage us to take a fresh look at the history we are creating ourselves day by day. This site is by no means the definitive history of Beckenham, there are many books that can be found in our libraries and on sale in local bookshops that will aid you should you require further detailed information. Why not visit Bromley Library and view the many thousand historical photos that are available to the public? 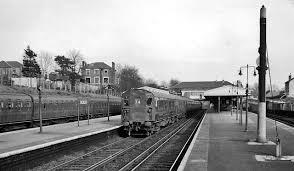 Beckenham’s link with the past has been recorded by Robert Borrowman, H. Rob Copeland, T W Thornton, Geoffrey Tookey, Paul Fabian, J.A Bennett, Muriel Searle, Eric Inman, Nancy Tonkin, John Wagstaff, Doris Pullen, David Johnson, Cliff Watkins, Simon Finch, Nicholas Reed, F. J Clark, Patricia Allderidge, A. Godfrey, Patricia Knowlden, Joyce Walker, Miss A. Hayes, H.P Hollman, Pat Manning and Ian Muir. All have played their part in dedicating time and energy in the research and writing of historical books and for that we thank them all. Sincere apologies to the many that are missing from this list. A special thanks to Simon Finch of Bromley Library for the use photographs from the archives. The site includes images from the Marie Edwards and The Durling Collections. Thanks also to Tony Johns for permission to use the works of H. Rob Copeland. Last but not least thanks to Bill Tonkin for the use of some of the postcards in the Nancy Tonkin collection. Many of the images on this site have never been published before. 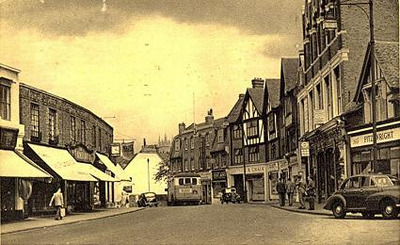 Photo Below: Beckenham High Street. All the images are to be found in The Photo Gallery. Please read the instructions how to navigate each Gallery. The Photo Gallery includes 3000 historical images of Beckenham, Penge, Crystal Palace, Coney Hall, Birkbeck, Shortlands, West Wickham, Anerley, Sydenham and Crystal Palace. Also included are various sports teams and local school group photos. Please note that no part of the website may be reproduced or transmitted in any form or any means, electronic or manual, without prior permission from the website author. More images will be added on a regular basis; new additions will appear at the end of each album. Stay awhile and enjoy these pictures that reflect some of our past. It is planned to include some Penge history on this site in the future. Make sure you read the instructions on how to use the gallery as there are up 20 albums in each of the 6 galleries. Click here to visit the photo gallery page.